What’s an Envy? They’re very sweet, have classic flavor with a firm and crunchy texture. Basically, the eating experience Red Delicious wish they were. 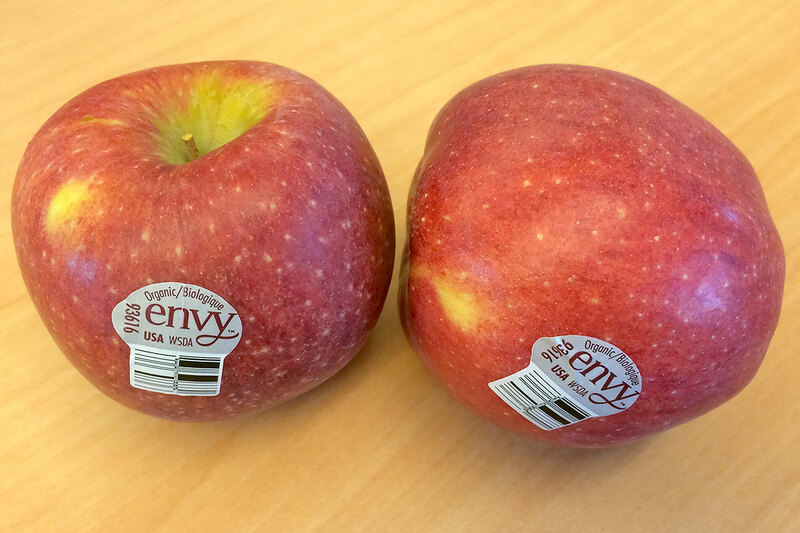 Organic Envy Apples are now in season from this fall’s harvest in Washington from late November through early winter. OK, so you dislike tart apples, but you also get annoyed when the sweet varieties have soft or mushy flesh. 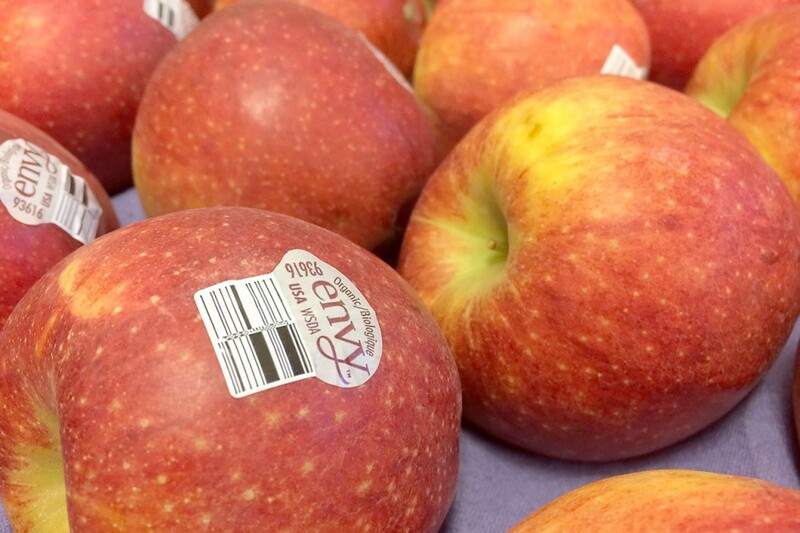 Here is a variety you’ll covet: Envy Apples. 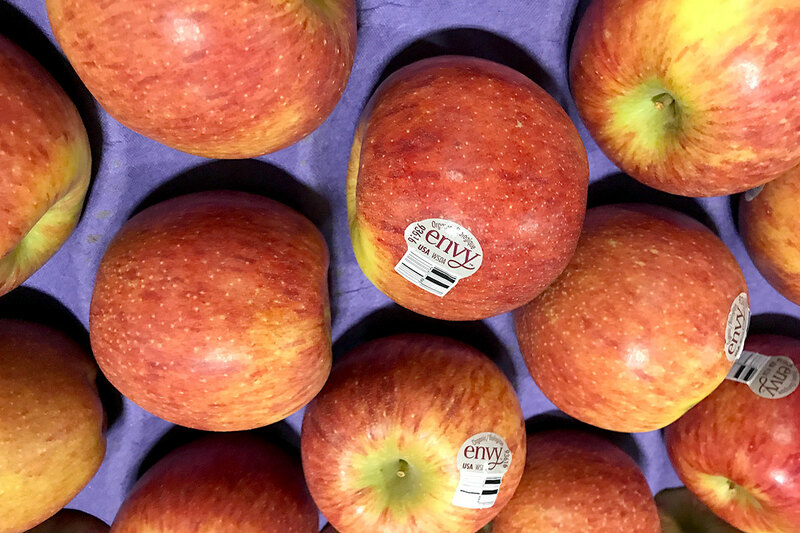 Large with red-blushed and yellow streaked skin, Envy Apples are perfectly firm, crisp and juicy, but what really makes them a hit is their sweetness. Envy Apples have a sugary-sweet flavor in every crunchy bite with a familiar, old-fashioned apple after-taste. Yes! No tough skin and mealy flesh for this sweet variety. Envy Apples have a sugary-sweet flavor in every crunchy bite with a familiar, old-fashioned apple after-taste. Yes! No tough skin and mealy flesh for this sweet variety. How to avoid the dreaded mushy, mealy apple. After over-indulging during the holidays January is often all about making healthier choices. Apples are a good source of fiber which helps you feel full, helping to reduce your craving for junk food. But what is worse than biting into a dry, mealy apple when you were expecting something crisp and juicy? After the fall season, it is best to buy apples from refrigerated displays and keep them stored in your refrigerator at home. Why? North American apples are picked in late summer and fall, so if they’re stored at room temperature (a few months after they’ve been picked) the flesh crispness can deteriorate inside even though the outside looks fine. Cold = crisp. The varieties that naturally keep their crispness best and longest include: Pink Lady, Jazz, Envy, Fuji, Honeycrisp and Opal. The varieties that are naturally softest once out of cold storage include: McIntosh, Red Delicious, Gold Delicious, Gala. AVOID: No matter the variety, avoid apples that feel soft to a squeeze in your hand or that have wrinkled skin. Those are both signs that an apple has sat out in the warm too long and is likely to be mushy inside.